NEC UNIVERGE 3C is a complete, software-based unified communications and collaboration solution that redefines the way you communicate – enables anywhere, anytime access, operates across premise, cloud or hybrid environments and ensures business continuity through a single application platform. Incorporating voice features, and collaboration applications, 3C has evolved BYOD (Bring your own Device) to be fully user-centric allowing forward thinking businesses to empower their workforce. By enabling individuals to seamlessly communicate from their smart phone, PC or tablet using only one contact number, workers can be truly efficient when on the move improving the necessary agility for today’s dynamic work environment. 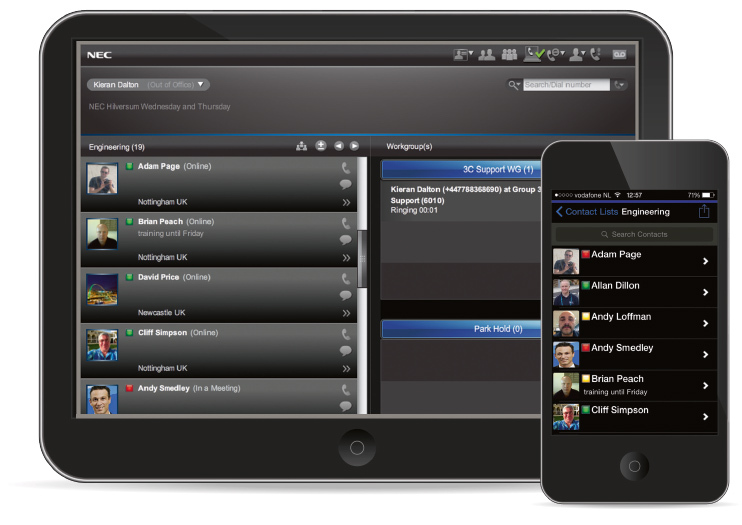 A powerful, all-in-one software-based unified communications (UC) and collaboration solution. Operates across premise, cloud or hybrid environments with virtualised support. Offers a complete suite of user-centric UC applications. Enables anywhere, anytime access for increased efficiency and productivity. Provides a consistent user experience across multiple devices. Supports call control and UC features for mobile and remote workers. Provides 999 capabilities for quick response to emergencies. Offers a comprehensive set of management tools for easy administration. Provides a highly reliable architecture to ensure business continuity in mission-critical environments. Integrates communications into business processes to achieve advanced, customised business solutions. Utilises open, standards-based components to enable interoperability and reduce overall costs. Offers investment protection through a simplified single application platform upgrade process; keeping all built-in 3C functions (IP-PBX, unified messaging (UM), UC, etc…) current as well as provides additional value through new features and capabilities. Today’s economic environment is a challenge for businesses of all sizes and to stay competitive, they need to have the right tools that enable them to do more with less without compromising customer service. They must find ways to be more efficient, yet at the same time, remain flexible and reduce the overall cost of doing business. With the right communications solution, a business can make a huge impact to their bottom-line and to individual productivity. By implementing UNIVERGE 3C, a single software application platform that delivers a fully functional IP-PBX along with a complete set of voice features and sophisticated unified communications (UC) and collaboration applications,a business can decrease overall expenditures while improving individual productivity, responsiveness and accessibility – truly empowering their workforce. NEC’s UNIVERGE 3C redefines the way a business and individuals communicate. This comprehensive solution provides you with the necessary agility for today’s ever-changing work environment. It enables you to tailor your communications to your specific business needs plus have total control over how, when and where you choose to be reached. With UNIVERGE 3C, you can leverage its unmatched flexibility, reliability and scalability to keep your organisation competitive in today’s marketplace. Flexibility is a key attribute of NEC’s UNIVERGE 3C. As a single software application which operates across premise, cloud or hybrid environments, it delivers a complete communications solution that can be tailored to any organisation’s needs for highly reliable and secure services. This single software application platform provides you with an IP-PBX, voice features, Voicemail (VM), Unified Messaging (UM), Unified Communications (UC), collaboration tools, mobility options, voice/video/web conferencing, basic ACD, system-wide call recording, SIP services, business continuity, disaster recovery, a Services-Oriented Architecture (SOA) with web services support along with comprehensive management tools to administer it all. These core capabilities are all part of the basic feature set and not individual parts that need to be purchased and licensed separately – providing you with a complete solution and making the UC experience easier for you to achieve. UNIVERGE 3C is unique because as a standards-based solution, it can run on general purpose servers of your choice alongside other mission-critical applications on your network as well as run on any existing network infrastructure. A wide range of certified IP client devices, enabling end users multiple options to adapt to their business needs. 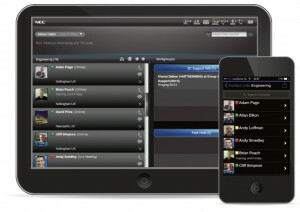 An integrated UC client for multiple forms of communication including voice, video and web collaboration. Costs savings – by eliminating the need for dedicated proprietary voice switches. Virtualisation support (Hyper-V and VMWare) which reduces hardware and energy consumption to align with a company’s green initiatives. Government and other security-conscious sectors robust reliability with stringent security features passing JITC (Joint Interoperability Test Command) certifications in compliance with the U.S. Department of Defence (DoD) and the Defence Information Systems Agency (DISA) standards. UNIVERGE 3C helps your business streamline communications and information delivery. Through its integration of multiple media types and devices, productivity gains and efficiencies are created. Users do not have to go from one application to another or from one device to another. It provides users with intuitive communication management tools and quick access to the information that they need. The comprehensive set of user-centric communication and collaboration features that UNIVERGE 3C delivers are integrated into a single robust UC Client and are easy to learn and use. Rich Presence allows users to locate and identify another user’s availability and contact them on their preferred device. Scheduled-Based Presence and Availability enables users to route calls to the most appropriate telephone – desk, mobile or home office – based on their schedule or specific rule they have set. Unified Messaging enables instant access to email and voicemail messages from one inbox – messages can be retrieved from any location, using a desk phone, com¬puter or mobile device. Single Number/Single Mailbox Access saves users time by allowing them to combine mobile and office phone messages into a single mailbox, have a single phone number to distribute to customers and colleagues and transfer calls from their desk phone to their mobile device without interruption. Microsoft® Office Outlook® Integration synchronizes meeting calendars, journaling and contact groups into user call functions along with unified messaging functionality. Audio Conferencing enables users to easily set-up three- party conferences quickly. Desktop Video Conferencing allows users to send, receive and manage video conferences (includes three-way video conferencing and integration into third party video devices i.e. conference video, tele-presence, desktop video terminals). Instant Messaging/Chat provides a communications alternative that is less-intrusive than phone or video conferencing and enables the quick exchange of information. 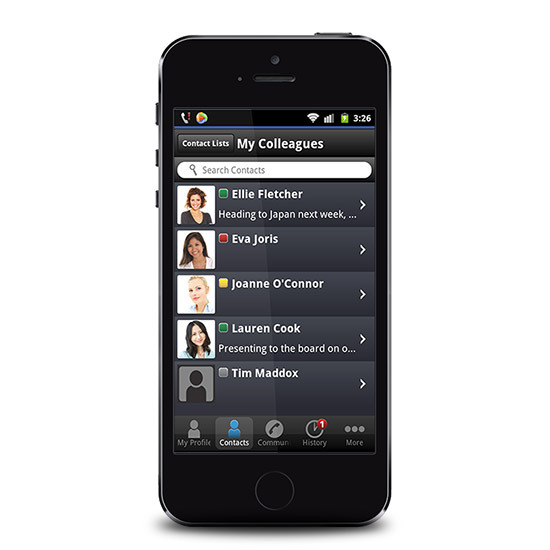 Softphone functionality allows employees to use their computers to send/receive calls, perform desktop video conferencing, and use advanced call forwarding and web- browser dialing.